Here at Monster Tires, we pride ourselves on providing the most dependable and sturdy heavy equipment tires at the most affordable prices around. Whether you need 862 Motor Scraper Tires, 860 Motor Scraper Tires, or 762 Motor Scraper Tires for your John Deere Motor Scraper, we have the inventory and the quality to get your piece of equipment rolling again. We offer a full range of John Deere Motor Scraper Tire Size Options, as well as flat-rate delivery to save you money. If you are looking for a Rear Tire Set for John Deere Motor Scraper, a Front Tire Set for John Deere Motor Scraper, a Set of Four Tires for John Deere Motor Scraper, or a full Tire Package for John Deere Motor Scraper, we have the high-quality equipment you need. At Monster tires, we specialize in Construction Tread Tires for John Deere Motor Scraper and Off the Road Tires for John Deere Motor Scraper. 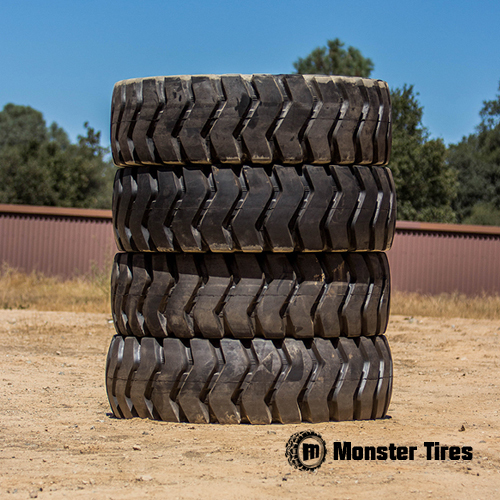 Trust in Monster Tires for your next set of John Deere Motor Scraper tires!